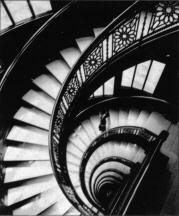 The archive of photographer Richard Nickel was recently donated to the Art Institute of Chicago. Nickel is a hero in the Chicago preservation and architecture communities for his early and dedicated work to preserve and document so much of Chicago’s early architectural history. Working throughout the 1950’s and into early 1970’s, Nickel tirelessly recorded much of the work of Adler and Sullivan, Daniel Burnham, Holabird and Roche, Frank Lloyd Wright and others. These were the ugly, dark days for urbanism and architecture in the US, as hundreds of magnificent buildings were demolished by private developers and public institutions to make way for “progress” and urban renewal. What was lost was priceless buildings, glorious creations of great architecture and great neighborhoods. Nickel not only took countless photos of endangered buildings, but he was also an ardent campaigner against the kind of wanton destruction that some Chicagoans were attempting. 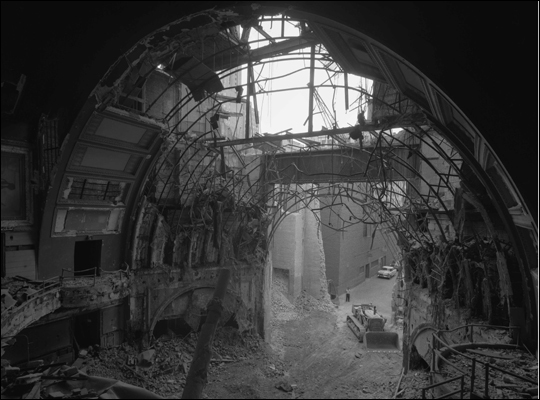 The demolition of Louis Sullivan’s work was Nickel’s prime target and his efforts included not only taking photos but saving actual pieces of soon-to-be-demolished buildings. The interior of the Chicago Stock Exchange building is a part of the Art Institute, on permanent display, due his work and that of other zealots he recruited. 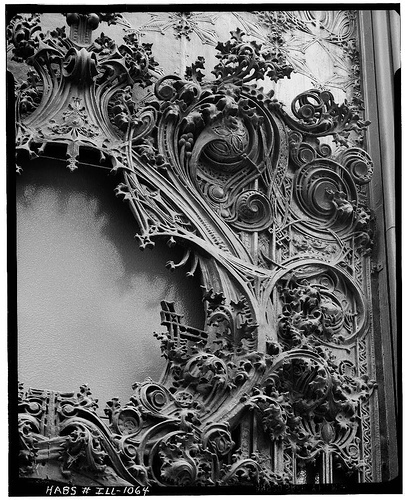 Louis Sullivan is now known as one of the greatest of all American architects and much of his body of work exists solely in Nickel’s archive. Nickel’s story ended tragically and in some mystery. His body was found inside the demolition site of the Chicago Stock Exchange building, buried under a collapsed stair. 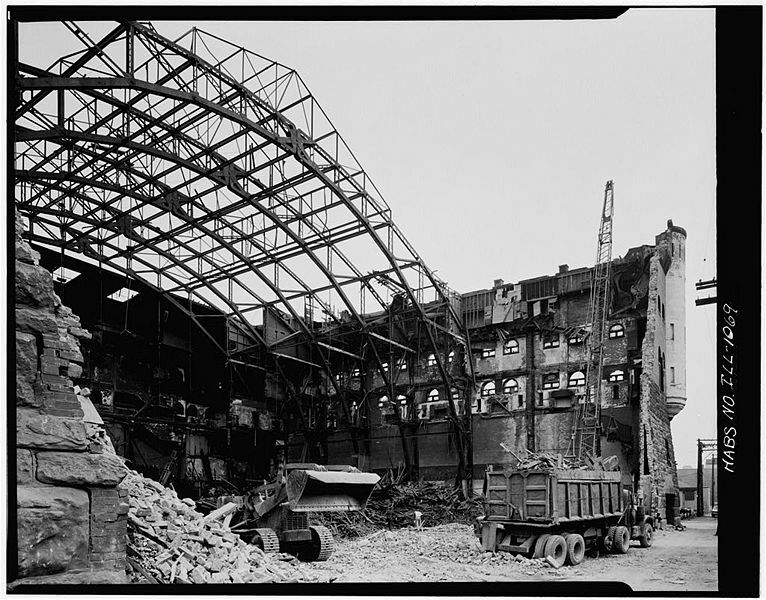 Under great risk, he often entered building sites where demolition was already underway, and his photos are often the only documentary evidence that exists of so many buildings. In the case of the Stock Exchange, he returned many times after the official salvage operation was complete to retrieve and document. His archive, some 15,000 photographs, prints and negatives, has been held by The Richard Nickel Committee and available for viewing only by professionals and academics. Hopefully now that it is housed at the Art Institute, some of this man’s heroic and beautiful images can be viewed more easily by the citizens of Chicago, who have benefited so powerfully from his heroic efforts. For more info on Nickel, I recommend They All Fall Down by Richard Cahan, on Nickel, his preservation efforts and those of Chicago architect John Vinci. You may have noticed in your town a strange, older octagonal house sitting in your neighborhood. In Boulder, there is one on Lincoln up on the Hill. These are not the one-off strange concoctions that they may appear to be, but rather the result of an intriguing housing fad from the 1850s. The proponent of such odd designs was amateur architect and phrenologist Orson Squire Fowler. 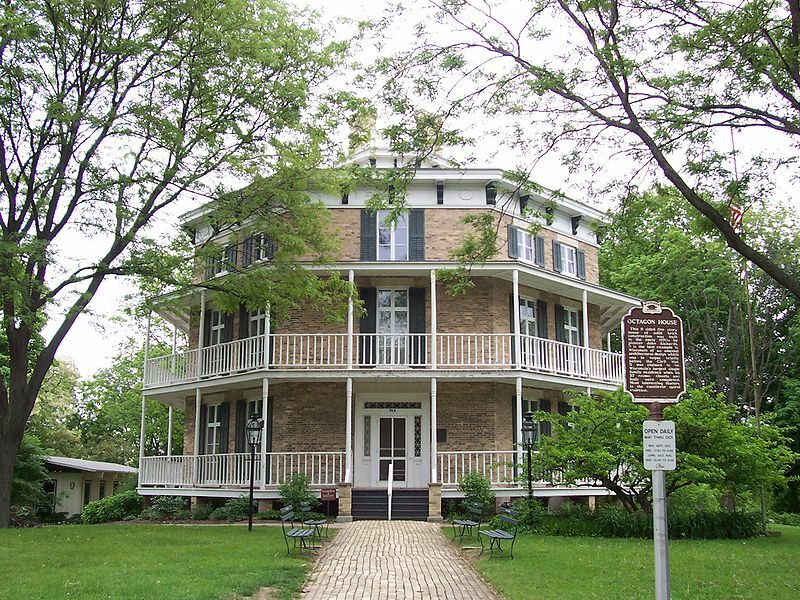 In 1848 Fowler published The Octagon House: A Home for All and in its wake thousands of these curious houses were built all over the country. Emphasizing their utility and efficiency of construction, the book included few examples but rather outlined some general principles along with some practical alternatives such as rainwater-collecting flat roofs and central heating. His own house, dubbed Fowler’s Folly, was built out of a kind of concrete using lime instead of the usual Portland cement and without reinforcing limiting the material to walls only. In making the book more general than the typical pattern books of the time resulted in a wide variety of execution with some 2,000 or so homes still existing from Key West to San Francisco. The example here in Boulder has seen a front porch come and go over the years and is predominantly brick with typical low-pitched roof common to most of these houses. 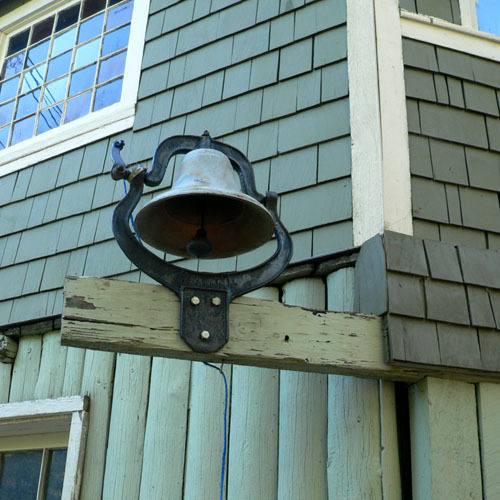 Built in 1907, it must have been an arresting sight sitting amongst its smaller cottage and Victorian neighbors. 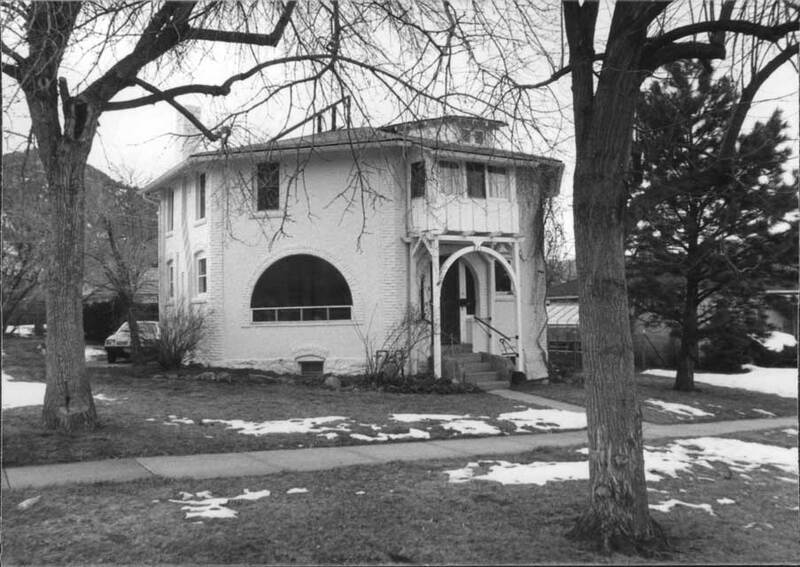 It does not have the audacious majesty of the three-story, full veranda Watertown house in Watertown, Wisconsin, but it is a fine, if not quirky, contributor to the architectural variety and history of Boulder. What I find interesting in these buildings is both their form – heavy, massive objects rooted to the earth – and their origins in the “science” of advanced living – how a general building form has been proposed to improve the lives of its inhabitants and the evangelical zeal of its supporters. Over the last one hundred years or so we have seen plenty of these “inventions” in housing that were intended to liberate the homeowners. Even such luminaries as Wright, with his Usonian ideas, and Bucky Fuller, with his domes, believed that a study into building form could improve the lives of people that they never met. 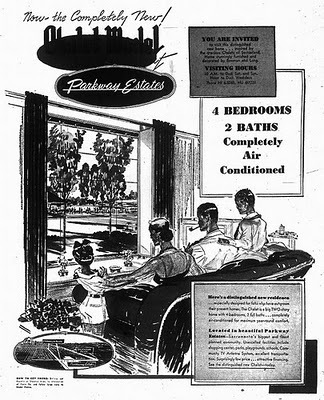 This of course is also akin to all the great advertisements of generic builder-home suburbs of the 1950’s and 60’s. There certainly are plenty of things that buildings can provide. They can bring light and hygiene, eliminating the dreadful tenements of the late 19th century. They can, and usually do, reflect changes, positive or not, in the working lives of families – to dual working couples and the increasingly central role of the kitchen in the life of the house. But these are forms that reflect only generic families, the reductivist quest for a “solution” to modern living. They do not speak much about who we are as individuals or how we relate to each other, our neighbors, the larger world. These ambitions are not a part of the project – to bring attractive, affordable housing to as many people as possible. To do something else, to synthesize the specific world of real people, real individuals and families, not their prescriptive models, is the quest of those of us architects that work in residential design. The octagon is probably not the ideal building form for all families. For a prime example of singularly unique homes that reflect the character of their owners you can look to the work of Wright or Aalto or any other of the masters of twentieth century architecture. 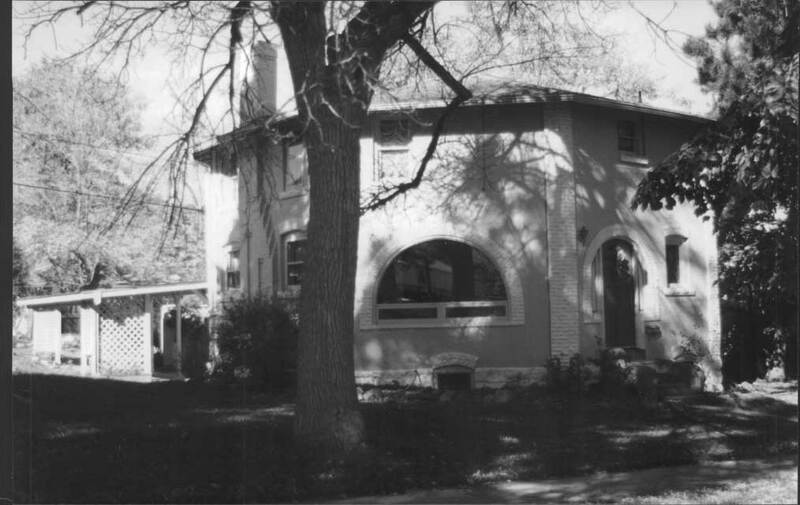 But, here in Boulder, is not only a excellent set of such houses, but I believe work that stands along and even above, the very best houses of the known architectural heroes. The work of Boulder’s own Charles Haertling. I have a number of upcoming posts on his work and his career and I would encourage everyone to take a closer look at the work of this local master. No two buildings alike, no two homeowners alike, no two sites identical. And no octagons, “the most heinous shape in all of architecture” (J. Verlinden, Director of Design at Crate and Barrel). The Daily Camera, our local newspaper, just published a story by local writer and historian Silvia Pettem on the history of a local retail center just down the street from my office. The reason for the story is the installation by the Public Work’s Transportation Department of bus shelters with side panels depicting local history and architecture. 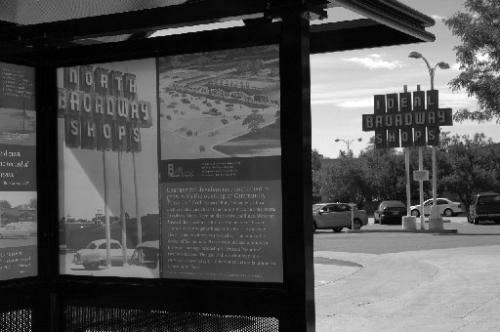 “The City of Boulder Public Works Department’s Transportation Division recently installed historically themed glass panels in two North Broadway bus shelters — in front of Ideal Broadway Shops, as well as across the street on the east side of Boulder Community Hospital. The entire Broadway construction project is just about to finish up much to the relief of Boulderites. And along with the newly paved street there are new bus stops, many of which have these local history lessons on graphic panels or most interestingly, embedded in the concrete. Take a stroll down the street and see what has been done, it is surprisingly good and should give all of us some measure of confidence in the ability of government to make something really well. A number of months ago I wrote a post about the historic Lincoln Hills neighborhood in rural Gilpin County, Colorado, about 20 miles southwest of Boulder. In the 1920’s when many of Colorado’s mayors and governors were KKK members, this African-American resort community thrived as the only one of its kind west of the Mississippi. 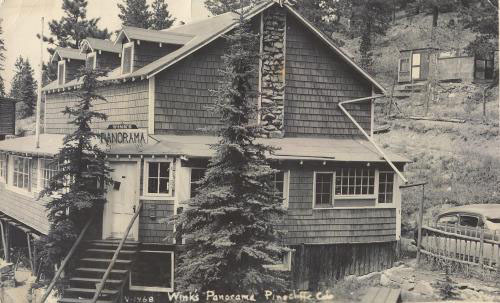 At the heart of Lincoln Hills was The Phyllis Wheatley YWCA camp for girls, Camp Nizhoni, and Winks Lodge. 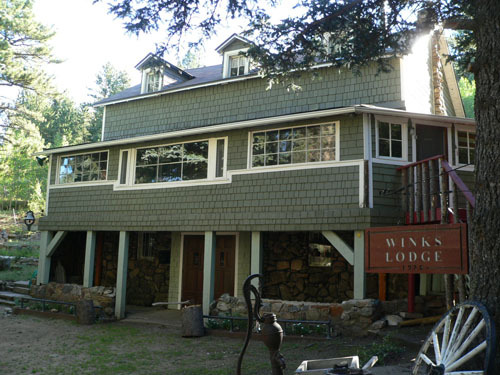 Built in 1925 by Naomi and Obrey “Winks” Hamlet, the lodge consisted of 6 bedrooms, some common rooms and a large wrap around porch. The list of visiting luminaries is impressive by anyone’s standard: Billy Eckstein, Lena Horne, Duke Ellington, Count Basie, Langston Hughes, Zora Neal Hurston. Although much of Lincoln Hills has disappeared, the lodge remains and is on the National Register of Historic Places. 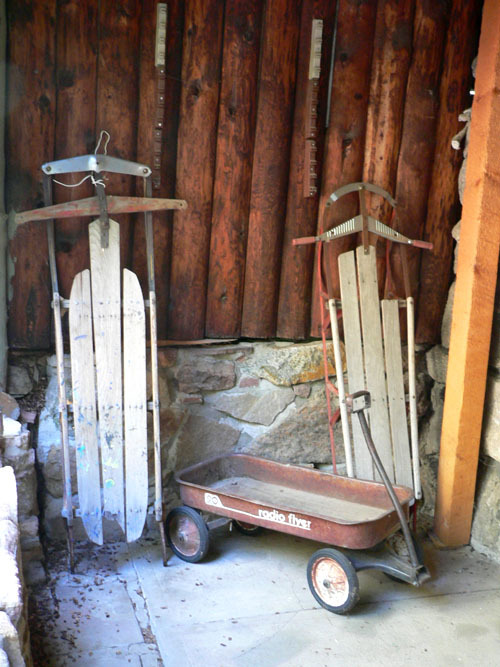 With a grant from the Colorado State Historical Fund, the Beckwourth Outdoors Club purchased the lodge and has begun a partial renovation. The lodge is not a remarkable piece of architecture, but its historical significance is immense. In a state not known for its racial diversity, preservation and encouragement of this community and this building is rare and welcome. Although the lodge is not open to the public, I would encourage folks to go up to Lincoln Hills and take a look at what remains of this once vibrant, thriving community, an artistic and intellectual salon that has faded with the years. Like Chicago’s Bronzeville, Lincoln Hills owed some of its existence to institutionalized and legalized racism. Around that kind of malevolent exterior pressure grew some amazingly fertile and rich intellectual and artistic communities, with the Harlem Renaissance as maybe the shining example. The loss of these places is a good sign – they existed because of repression and lack of opportunity. But it is a bittersweet loss nevertheless. 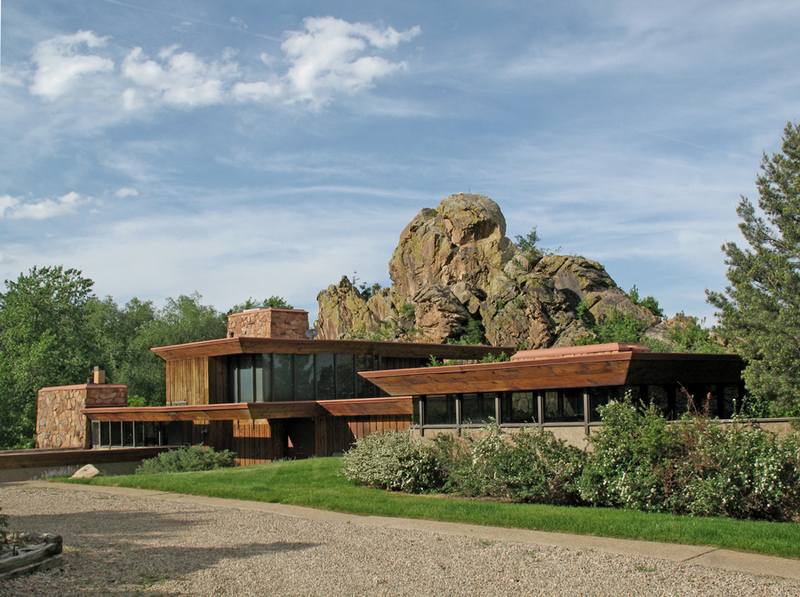 In light of some recent posts here on Colorado vernacular architecture and my recent appointment to the City of Boulder’s Landmark Preservation Advisory Board, I have been thinking a lot about the received cultural knowledge that architecture provides. For the most part, the vase majority of single family houses are designed, built and occupied without the slightest thought toward “Architecture”. But throughout the last 100 years or more, the house, the single family detached dwelling, has been the acknowledged testing ground for architectural ideas. This may mean that these architect-designed houses are a prime reflection of our culture, or that they simply describe the gulf between the culture of “Architecture” and the lives of most people. Typically I do not save the various architecture and design magazines that come across my desk. However, Architectural Record’s annual April issue, Record Houses, is an exception. While I am missing some issues (notably absence after my great Purge of 2007), for the most part, I have a continuous series from about 1990 to 2010. What is striking about at least the images chosen by the editors to grace the front pages of that yearly issue, is the increasing level of formal abstraction that you can see over the twenty years. With few exceptions the designs have become more stark, if not outright alien, to what most laymen would recognize as a house form. Many of the projects of the 1990’s were modern reinterpretations or “modernist” transformations of vernacular forms, as if architect’s had just rediscovered the local buildings that were not part of the received canon of either modern or post-modern educations. Even the more modernist or formally abstract houses of the early 1990’s often executed these geometries in building materials that would not have seemed foriegn to architects and buildings 100 years prior. What remains consistent is that these images all depict the houses in either their rural settings or carefully eliminate any other architectural context. How these buildings participate in a larger context of community or place only sullies their identity as “exceptional” objects. I am eager to begin work on the Landmarks Board, looking at not the “architecturally significant” cultural production deemed worthy by architectural historians in approved histories, but real houses lived in by real people. The houses addressed by preservation boards are not frozen in time like the images above, rather they have been occupied, altered, and most importantly retained, by generations of owners. They are “historically or architecturally significant” as determined by the community and are inextricably linked to place, neighborhood and community. It is a kind of richness that the Record Houses can hope to achieve. Will we be fighting to preserve any of the houses above? Maybe a little plaque will mark the place where a Record Houses building once stood. For as much as I am engaged everyday in making ‘new’ spaces, many of the places that most stick in my memory and that I am consistently attracted to are once quite nice or fancy places that have seen better days. It is not the historical architectural language or details, but rather the sense of time passing and maybe the sense of mortality that these places exhibit. That these rooms were once so special, the need, desire or expense required to change them or erase them has been suppressed and these “grand” rooms still exist. These spaces have “atmosphere” as I think Peter Zumthor would define it – they invoke an almost immediate reaction. However, beyond that they also show signs of occupation, over time, by many people, and as such, have a history of human lives, of joy and despair having played out by many people over many years. In designing new spaces, I think many architects think only of the beauty and function of the rooms and building. There is not much discussion or conjecture on what is so profoundly out of the control of the architect – the lives that are going to be lived in these rooms. A kitchen is certainly a place to cook and clean, but it will also be the place that family frets over a child’s school or the cost of next month’s bills. A living room is a place for entertaining and relaxation, but it may also be where a baby took its first steps, where a boyfriend meets the parents for the first time. These aged rooms show those signs, those scars, of the events and lives that have passed through them. They are not simply recorded in photos or journals, but are keenly felt in the air and space of the room. As an architect, I hope that the spaces that I make can accommodate these events, for they are inevitable and more than mere walls and ceilings and floors, make the real life of a house.